Calendula Flowers - Calendula has been used for centuries in many cultures as a herbal medicine. It is commonly used to treat skin inflammation, assist in wound healing and in soothing irritated tissue. Calendula is high in plant based anti-oxidants which help protect the cells from free radicals. Used in our Ingénue soap. 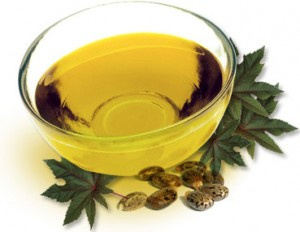 Castor Oil - Castor oil has a reputed ability to heal wounds and cure ailments. It is easily absorbed by the skin, and able to penetrate skin tissue deeply. This property allows it to help reduce the production of sebum to normal levels in order to prevent acne. Castor oil's ability to penetrate deeply helps keep skin youthful and unlined. Used in our soaps. Cedarwood Essential Oil - Cedarwood oil has been used as an insecticide, particularly as a mosquito and insect repellant for many centuries. It has been known to be have calming effects, thus relieving tension and anxiety. It also has anti-bacterial, and fungicide properties, and controls itching of the skin. Used in our Doggie soap. Coconut Oil - Coconut oil is a natural oil derived from coconuts. It has traditionally been used in cosmetics for hundreds of years. Coconut oil is a natural emollient which helps the skin have that soft and smooth feeling we all love. Coconut oil is an excellent cleansing oil that leaves little residue. It's moisturizing properties has made it an effective treatment for dry skin and in preventing flaking of the skin, typical of skin conditions such as psoriasis, eczema, and dermatitis. It has been known to help prevent premature aging, by delaying wrinkles, and sagging of the skin. Used in our soaps, scrubs, body butters and lotions. Dead Sea Salt - Dead Sea Salt is different from ocean salt, in that it contains 12-18% sodium chloride. It is rich in minerals such as magnesium, bromide, calcium, iron, potassium and more. These minerals are believed to help with increasing blood circulation, moisturizing, detoxifying and softening skin. The high magnesium and bromide content is beneficial for skin allergies and rashes. Dead Sea Salt has been found to promote cell regeneration and reduce wrinkles and fine lines by 40%. Used in our bath treatments and salt scrubs. Eucalyptus Essential Oil - Useful in treating sore muscles, headaches, sinus complaints and respiratory issues. Has a history of being mentally stimulating and assisting with increasing concentration. Eucalyptus contains anti-septic, anti-bacterial and anti-inflammatory properties. Used in our soaps and lotions. Alpha Hydroxy Acids - Alpha Hydroxy Acids are found in expensive lotions and cleaners which state that they gently exfoliate the skin, reduce the signs of aging and help improve the overall health of the skin. Lactic acid is naturally occurring alpha hydroxy acid found in milk. You can gain the same advantages from naturally occurring Alpha Hydroxy. Liposomes - Liposomes are natural or synthetic microscopic vesicles, the walls of liposomes are very similar to the walls of our cells. In medicine liposomes are used to deliver medication or even gene therapy. This is a very effective method of delivery on a cellular level. Goat’s milk contains natural liposomes which help deliver vitamins and restorative proteins to your skin cells. 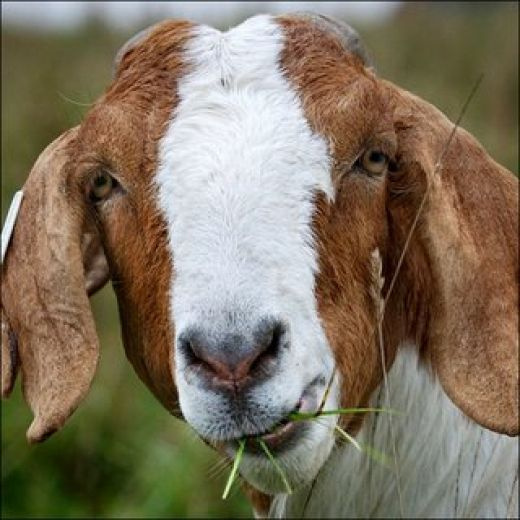 Acne and other ailments – Goat’s milk kills acne causing, bacteria and helps prevent new bacteria from growing. Goat’s milk eases inflammation, soothes pain, swelling, and redness caused by acne. Goat milk is beneficial for those suffering from eczema, rosacea and psoriasis. The pH of goat milk is very similar to human skin and human milk. This helps make goat milk so very moisturizing and appropriate for nearly every skin type. Used in all of our soaps, body butters and lotions. 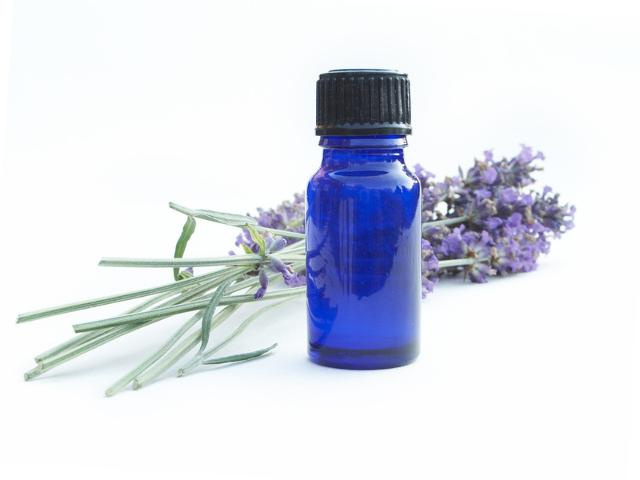 Lavender Essential Oil – Assists in relaxation and insomnia. Has long been acclaimed of having anti-fungal and anti-inflammatory properties, thus reducing redness and swelling caused by acne, eczema, psoriasis, dandruff and other common skin conditions. Lavender is known to have been a favorite of Queen Elizabeth I and Cleopatra. Used in our lotions, soaps, body butters, and salt scrubs. Lemongrass Essential Oil – Lemongrass Essential Oil works as a natural antibiotic. It has astringent properties that constrict the skin, thus minimizing pores and reducing the secretion of oil. It also has energizing properties, is known to heal acne, ease depression and relieve fatigue. Used in our Ingénue soap. Meadowfoam Oil - Meadowfoam contains 98% long chain fatty acids and is high in triglycerides. When applied to the skin it creates a barrier to hold in moisture. Meadowfoam is believed to help reduce wrinkles, and improve the quality of the skin. Because it is so wonderful for the skin and hair, Meadowfoam is used in a wide variety of cosmetics. Used in our lotions and body butters. Niaouli Essential Oil – Loosely related to the Tea Tree Essential oil. Has been used as a disinfectant, an insecticide to treat blemishes, bites, cuts and to help with concentration. Used in our Doggie soap. 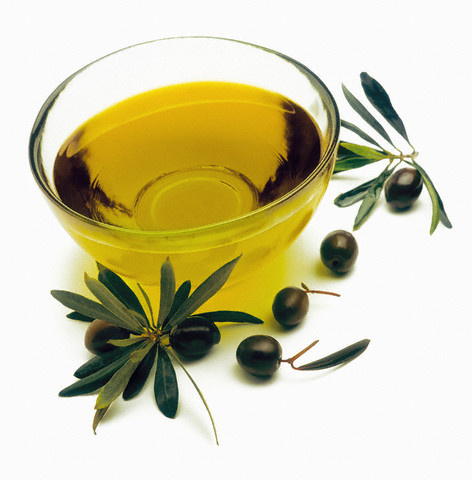 Olive Oil - Olive oil has been the traditional oil for the most luxurious soaps for thousands of years. It has been known to be an excellent natural source of Vitamin E and antioxidants, and in reducing the appearance of stretch marks. It helps your skin retain moisture as well as attract external moisture. Olive oil produces an extremely mild and very moisturizing soap, making it appropriate for even the most sensitive skin. Used in our soaps. 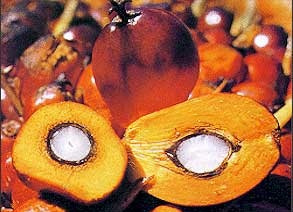 Palm Oil - Palm oil is the most widely consumed oil in the world. Extracted from the fruit of the oil palm tree, it is high in carotenes, vitamin A and vitamin E. The vitamin E in Palm oil contains hard to find toctrienols that has been known to be effective in preventing aging and damage from free radicals. It is able to penetrate deeply into the skin allowing healing of the skin to occur from the inside out. We use only sustainable palm oil from sources that have been certified by the Roundtable on Sustainable Palm Oil, an organization pledged to protect the local ecosystems and the native wildlife. Used in our soaps. Patchouli Essential Oil - Used to treat inflamed skin, acne, dermatitis and eczema. Has a history of being used for headaches, colds, nausea, diarrhea, abdominal pain, induce relaxation and help scars heal faster. Natural body lotions and wrinkle creams often contain patchouli as a key ingredient since it has been known to reduce fine lines and wrinkles. Used in our soaps and lotions. Peppermint Essential Oil - Eases upset stomachs, and is known for having stimulating and invigorating properties, as well as being used to treat migraines. 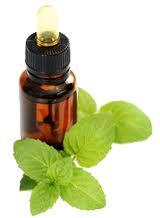 The menthol in peppermint oil cools tired skin, brightens dull skin and helps control excess oil produced by the skin. It also helps prevent clogged pores, thus reducing acne. Used in our soaps, lotions, salt scrubs, and body butters. 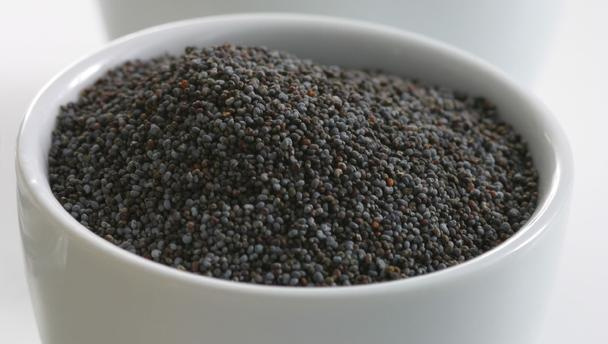 Poppy Seeds - Poppy seeds are high in nutrients, however to gain these benefits one has to eat them. While you cannot eat our wonderful soap, we use poppy seeds to assist with exfoliation. Used in our Bang! Bang! soap. 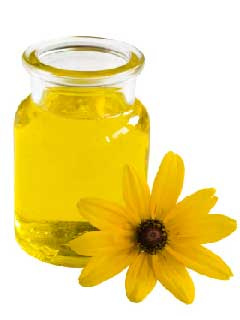 Safflower Oil - Safflower oil contains linoleic acid, an essential fatty acid. Safflower helps create a barrier on your skin to reduce the loss of moisture. It is excellent oil for sensitive skin. Safflower soaks into the skin quickly reducing that greasy feeling that can sometimes be found in lotions and creams. Used in our lotions and body butters. Shea Butter - Shea butter is extracted from the nuts of the Shea tree. It is used in medicinal ointments and believed to have a high percentage of healing properties when compared to other oils. It has a buttery texture which allows it to be easily soaked into the skin. Rich in vitamins A, D and F, it helps mimic the natural oils produced by your skin, making it ideal for those with sensitive skin. Shea Butter is used to help heal dry, cracked and chapped skin, reduce the appearance of stretch marks and scars, soften skin and reduce the appearance of wrinkles. Used in our soaps and lotions. Soy Wax - Soy Wax is produced by super hydrogenating soybean oil. It is a sustainable, vegan and petroleum free alternative to commonly used paraffin waxes. We use 100% soy wax in our candles. Spearmint Essential Oil - The ingredient is known to have been studied for anti-fungal properties. It has been known to have been utilized to treat depression and fatigue. Is suspected of having restorative properties. Used in our soaps, lotions, salt scrubs, and body butters. 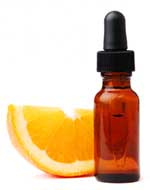 Sweet Orange Essential Oil - Used to treat depression, as an antiseptic, and an anti-inflammatory. Has also been used for assisting with nervous tension and stress. Sweet Orange Essential Oil is also used for calming, deodorizing and repelling fleas. Used in our Doggie soap. 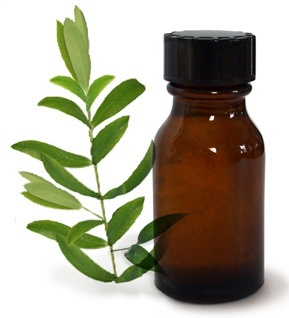 Tea Tree Essential Oil - Known for its anti-fungal properties, as well as its use as an antibacterial, and antiseptic. Suspect has an extensive history of being used to treat cuts, burns, and bites. Used in our soaps, lotions, salt scrubs, and body butters. Vegetable Glycerine - Glycerine is a natural by-product of the soap making process. All natural soaps contain glycerin. It is commonly added to lotions and other skincare products because it acts as a humectant and contributes to smooth feeling skin. Used in our body butters. White Kaolin Clay - Kaolin Clay is high in calcium, silica, zinc and magnesium. It is reputed to assist with the removal of dead skin cells, helping remove debris from pores, and useful for assisting with skin inflammation, as well as blemishes. Used in our soaps.